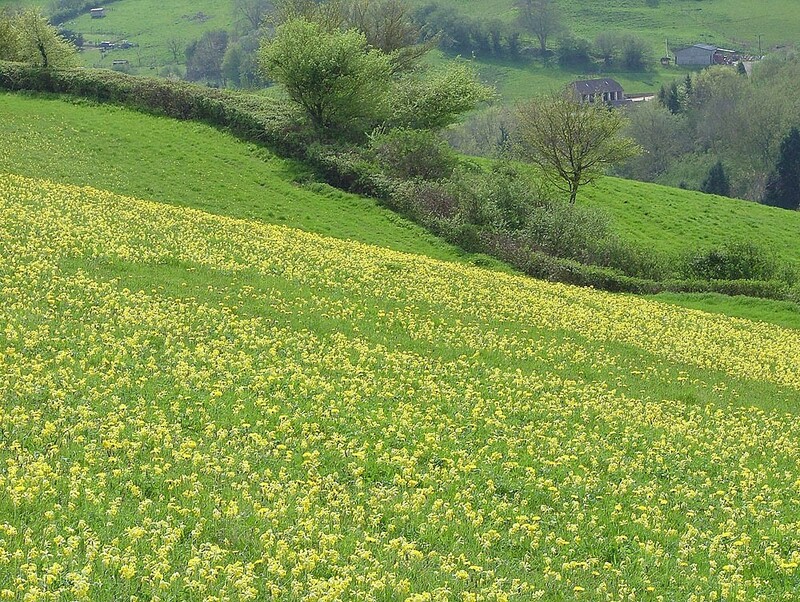 EM18 St Catherine Mixture is harvested from calcareous grassland high above St Catherine Valley, just north of Bath and on the southern tip of the Cotswolds. 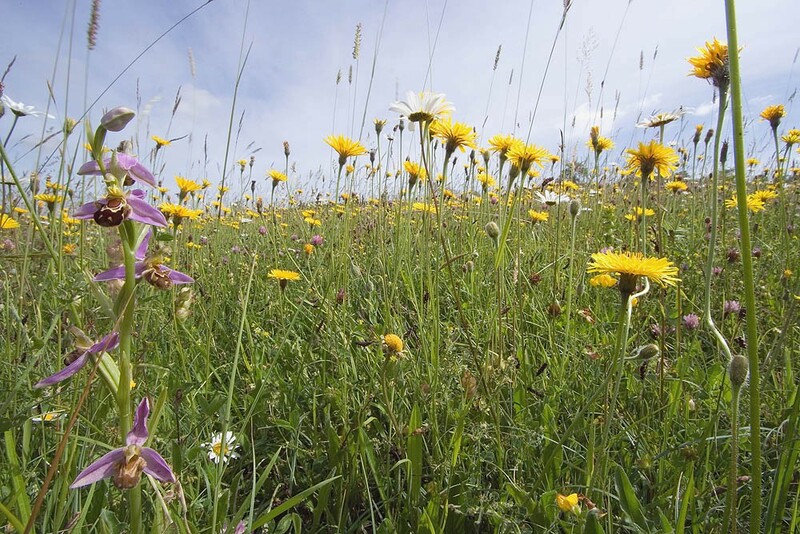 The fields are small unimproved hay meadows on thin droughty soils over limestone. 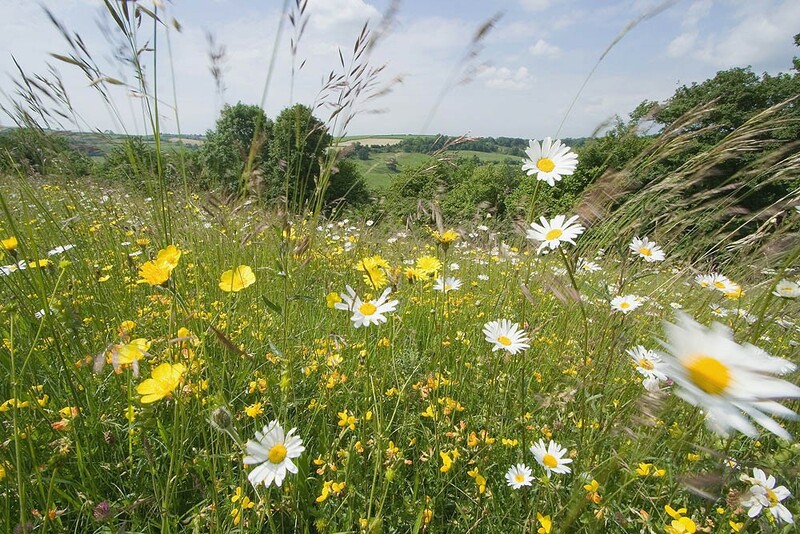 nb Wild meadow mixtures are harvested directly from wild sites and are therefore more variable than our other mixtures. Based on several years of analysis we present the main composition by seed number of species present in a typical harvest. The actual composition of each harvest will in fact vary and will include small amounts of a wide range of species that do not appear in the analysis. EM18 is very rich in flower seed. In the second and subsequent years EM18 sowings can be managed in a number of ways which, in association with soil fertility, will determine the character of the grassland.